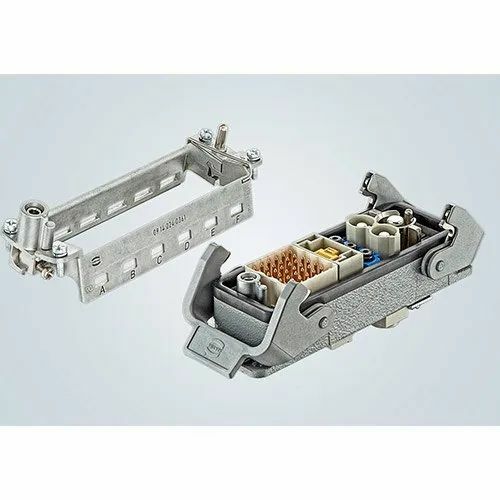 We are a leading Manufacturer of harting type connectors, heavy duty connector rectangle 16 amp type, heavy duty connector, harting type male & female connectors and heavy duty connector rectangle from Mumbai, India. As being a client centric firm, we are presenting Heavy Duty Connector Rectangle 16 AMP Type. Our talented experts have manufactured these connectors by the use of high grade raw material and latest technologies. 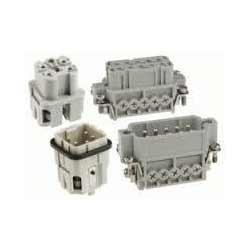 This connector is highly efficient in working and can work in very high power supply. It can be connected to up to two switches at a time. Optimum working of these heavy duties connector products makes it popular among the customers. Our firm is continuously busy in the manufacturing of the Heavy Duty Connector Rectangle 16 AMP Type. Efficient working of connector is praised by the customers. We have manufactured these connectors with the use of expert recommended material and implementation of latest technology. All our connectors are quality assured and widely demanded in market for their longer life and superior performance. Owing to our expertise, we are introducing a broad array of Harting Type Male & Female Connectors. For ensuring the proper functioning of these connectors our team of experts inspects this on diverse testing parameters. Along with that, we provide our connectors in diverse specifications as per client’s needs. Also, these connectors are widely demanded for its effective working, among our customers. For the diverse requirements of clients, we are engaged in manufacturing, distributing, wholesaler, retailing, trading & supplying an exclusive array of Heavy Duty Connector Rectangle. The offered connector is specifically designed according to the market standards by using top quality material keeping in mind the requirements of customers. We offer this connector in specific specifications as per with the details given by our patrons. 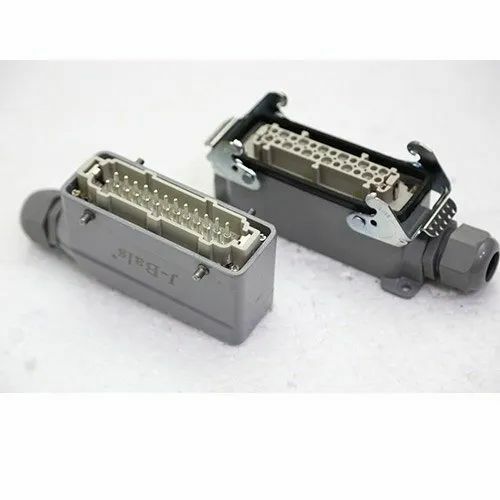 Moreover, we offer this connector in customizes options at suitable rates.